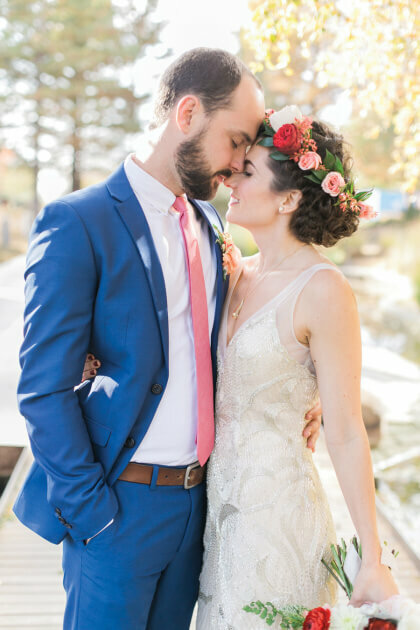 Amber and Eric met after years of running in the same circle of mutual friends. 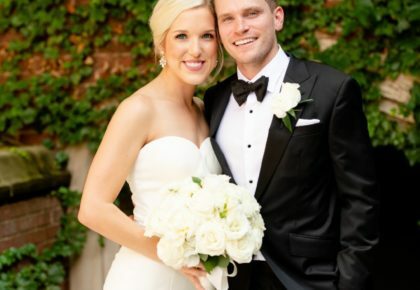 As fate would have it, the couple found themselves enveloped in conversation one winter night and the rest is history. 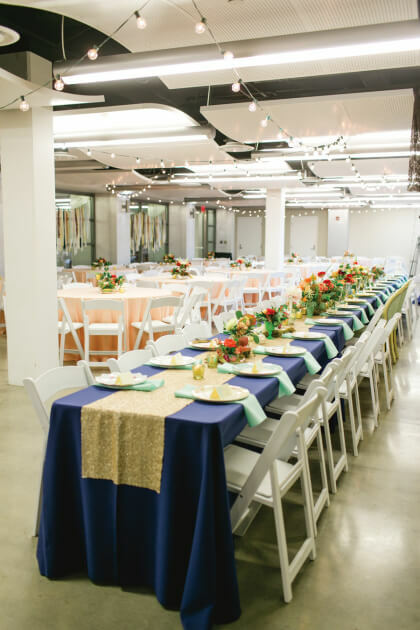 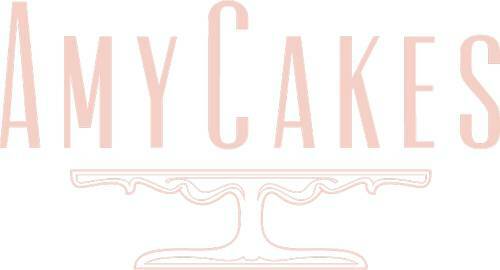 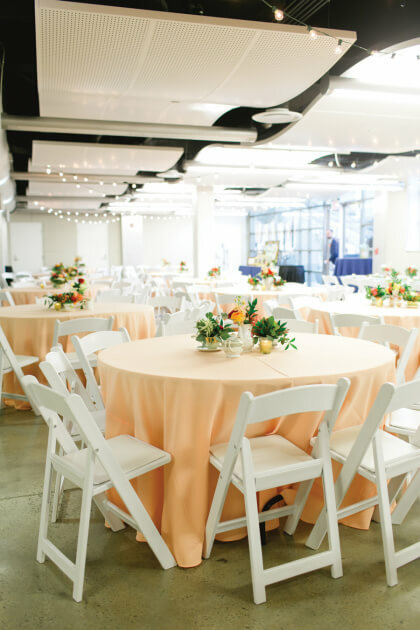 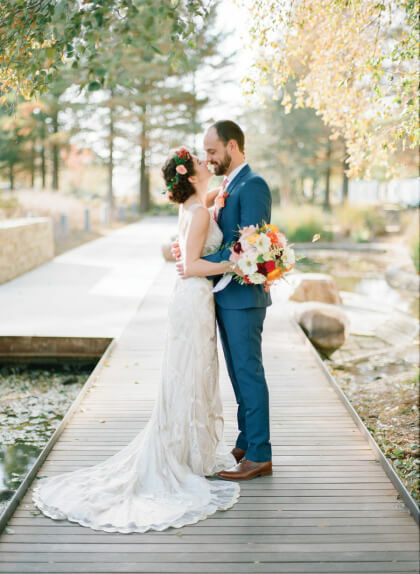 The couple began planning a beautiful wedding with the help of the brilliant Camden Chitwood of Emerson Events. 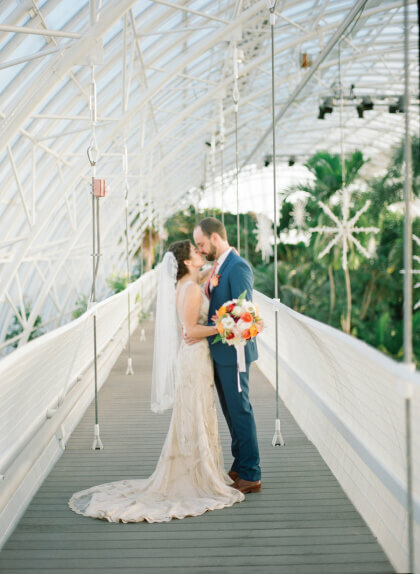 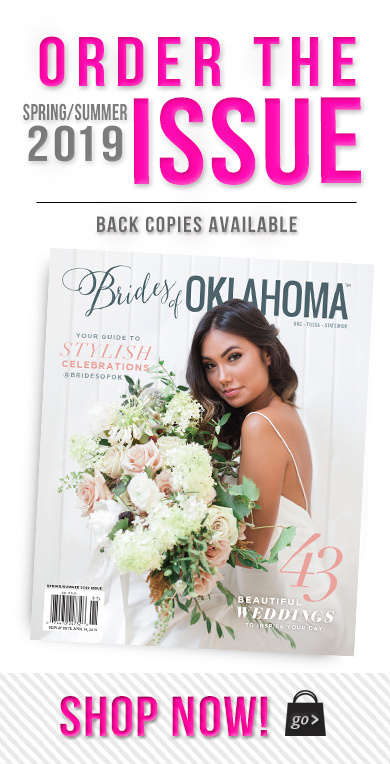 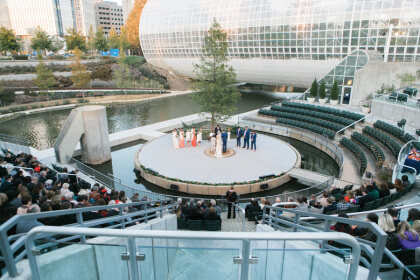 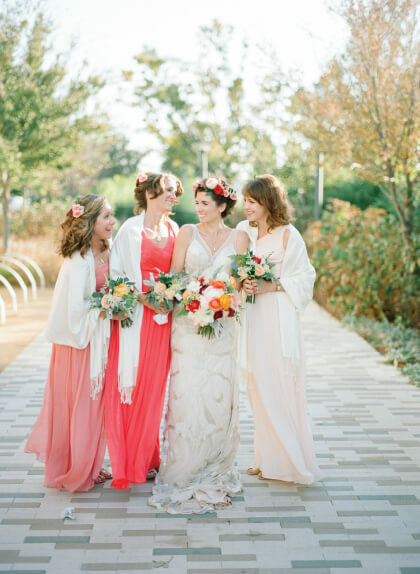 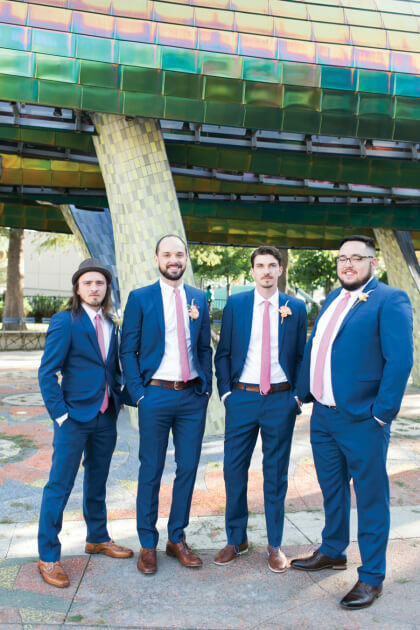 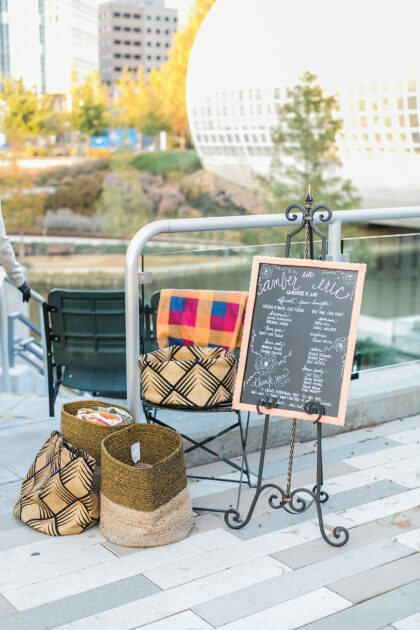 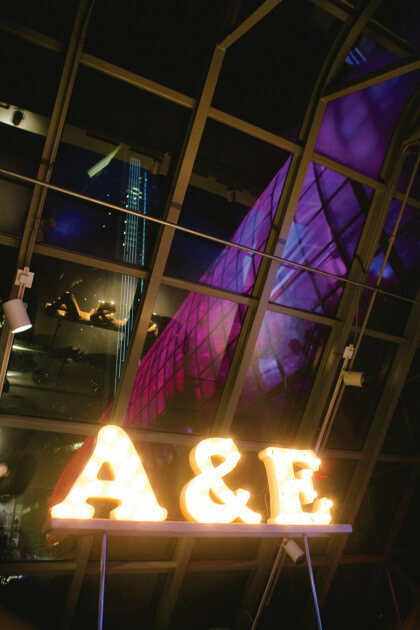 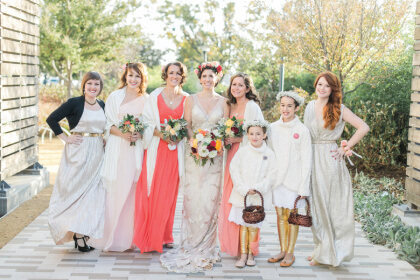 On November 15, 2014, friends and family gathered at the Myriad Botanical Gardens in Oklahoma City to celebrate Amber and Eric’s union. 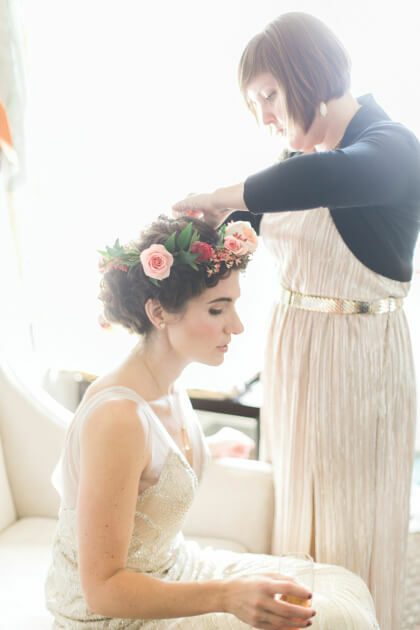 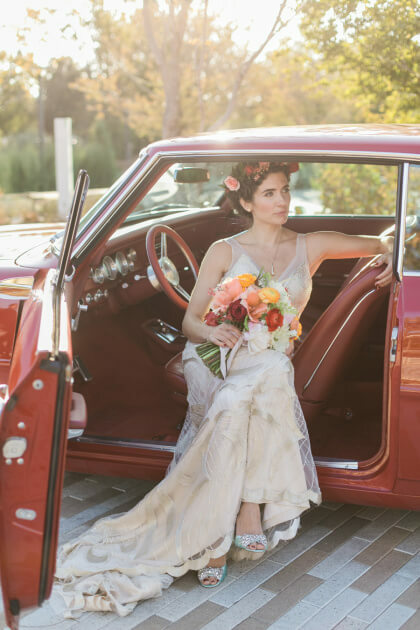 The bride wore a champagne art deco-inspired Maggie Sottero gown with ornate beading and a plunging neckline. 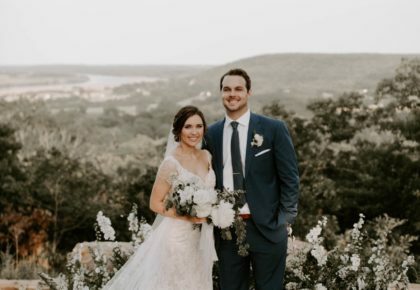 She walked down the aisle with her father and her son, Julian, by her side. 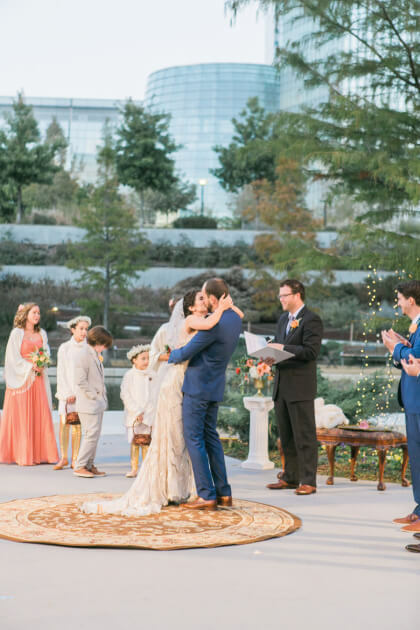 It meant a lot to the bride to have her son close throughout the ceremony. 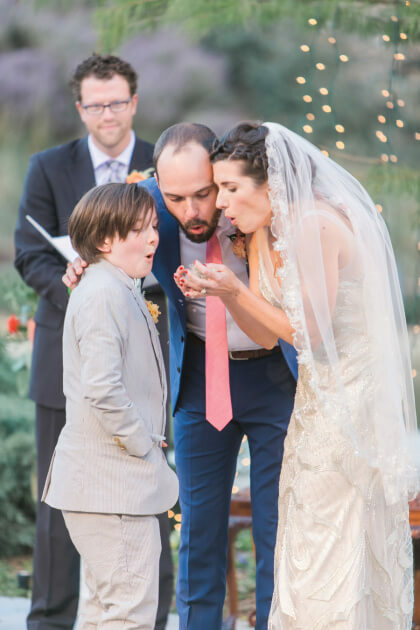 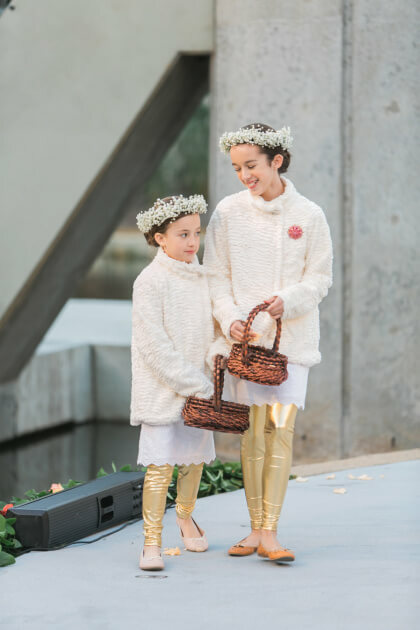 After exchanging personal vows, the new family of three incorporated a special tradition and made a wish together by blowing dandelions toward their guests. 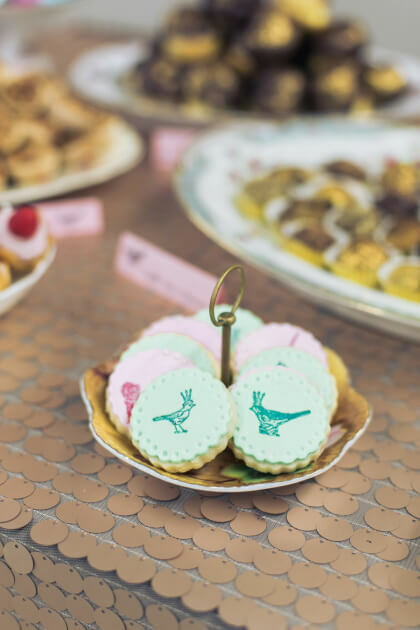 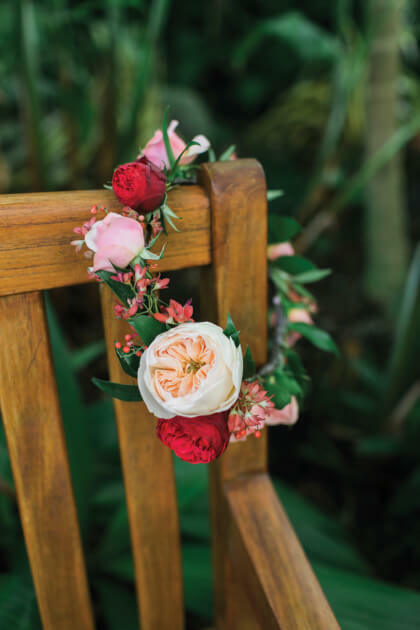 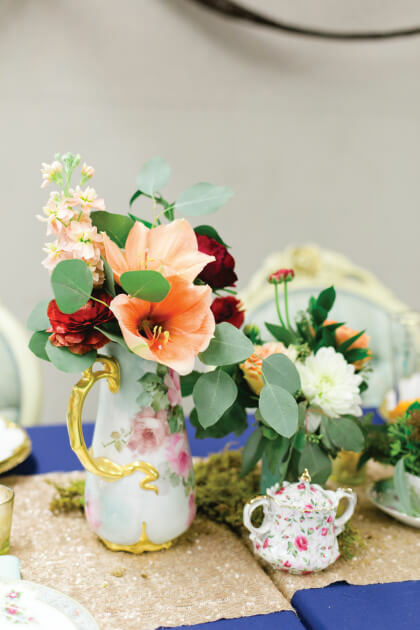 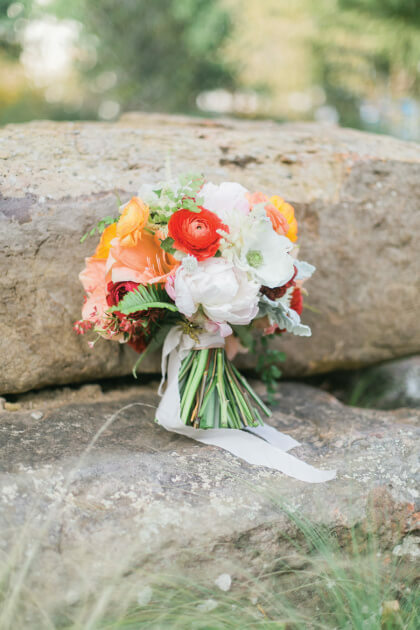 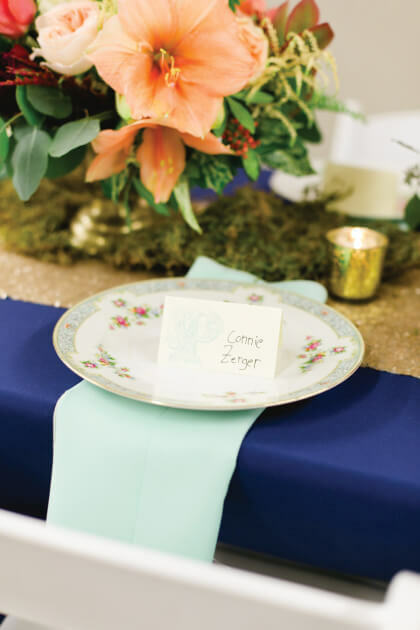 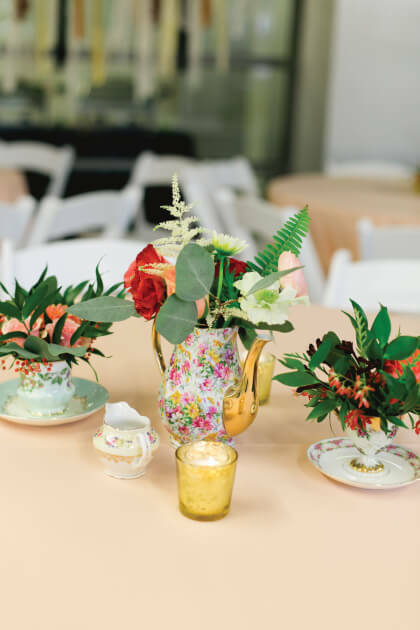 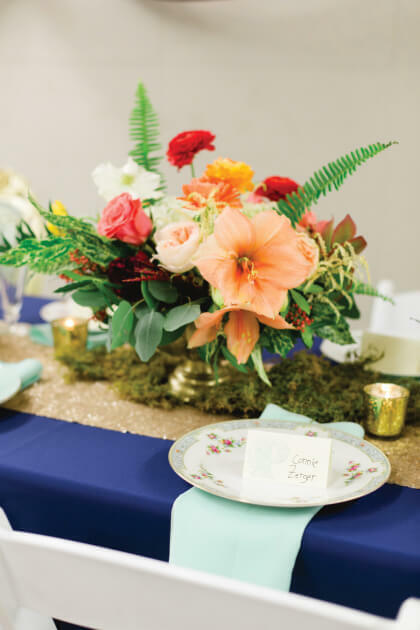 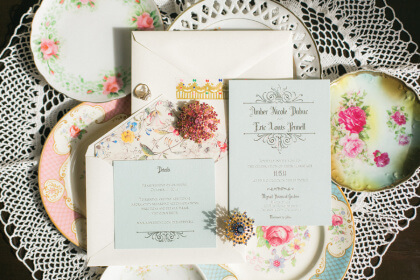 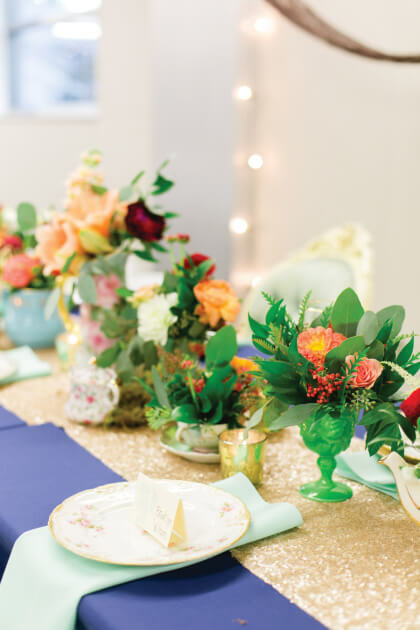 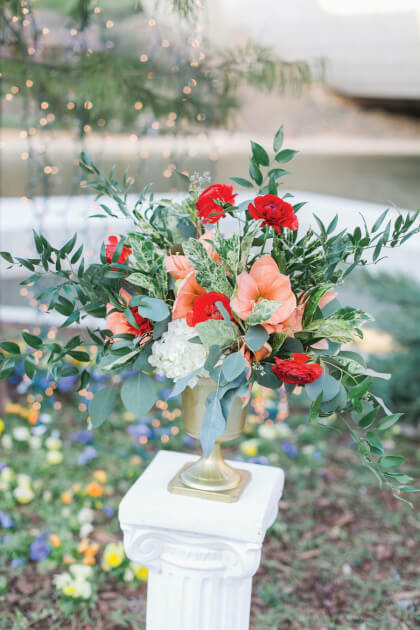 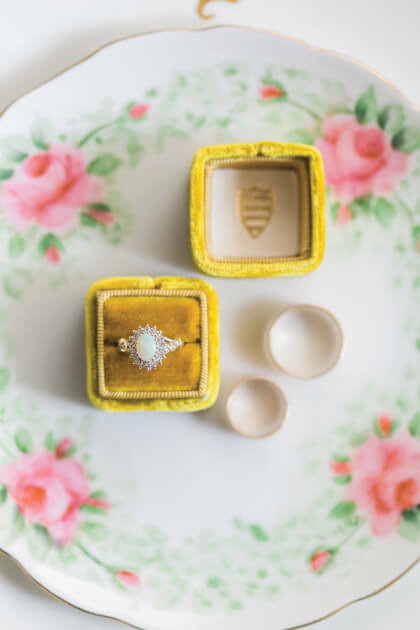 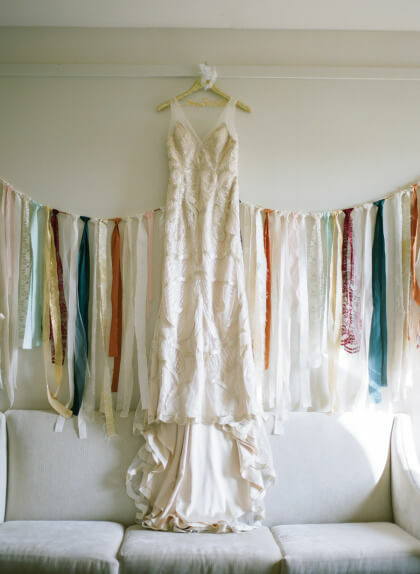 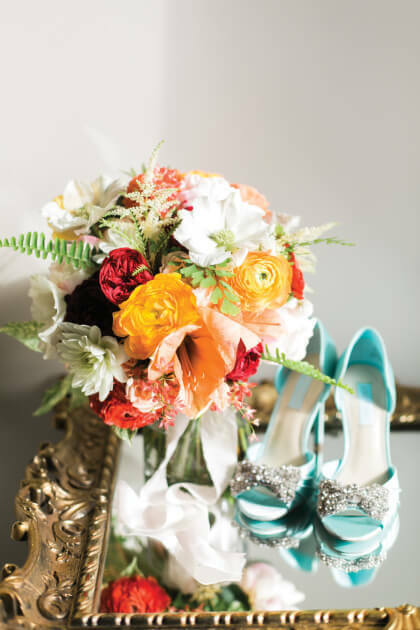 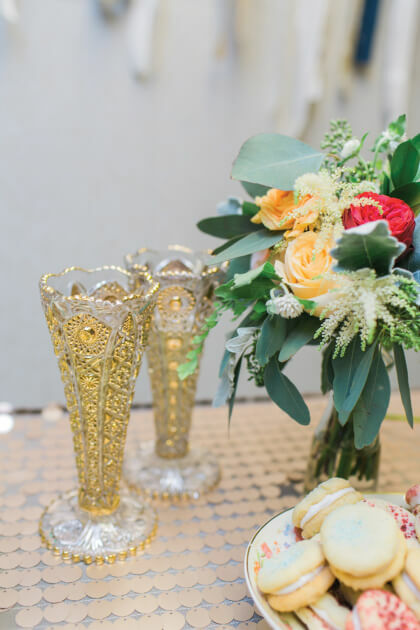 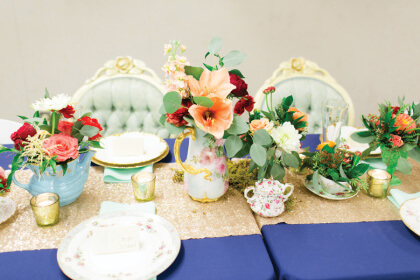 Following the ceremony, friends and family gathered inside for a whimsical reception inspired by bright flowers and antique décor the groom’s mother had collected for the wedding. 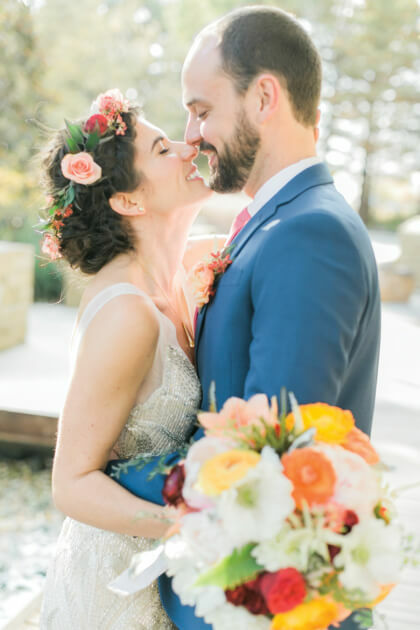 Amber and Eric surprised each guest with a personal letter they had hand-painted and stamped themselves telling each loved one how much they impacted their lives and how special each person was to them. 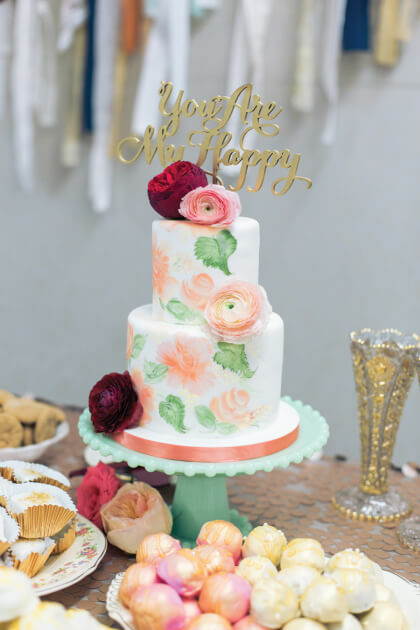 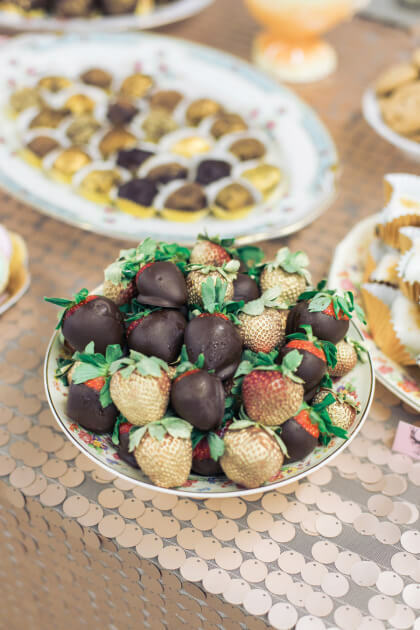 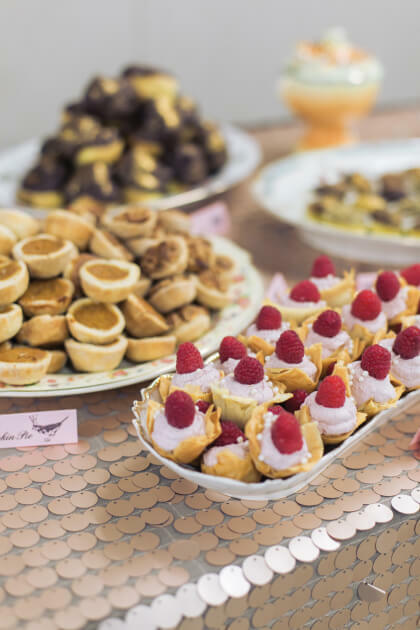 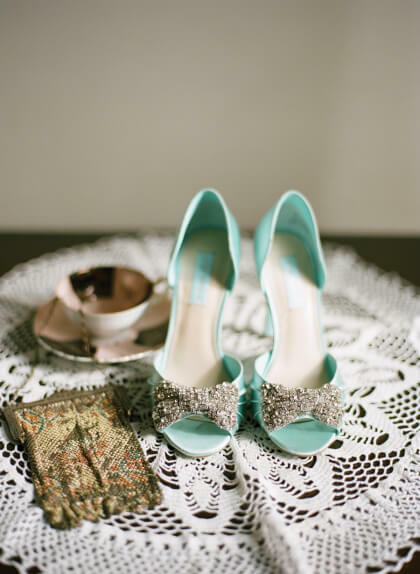 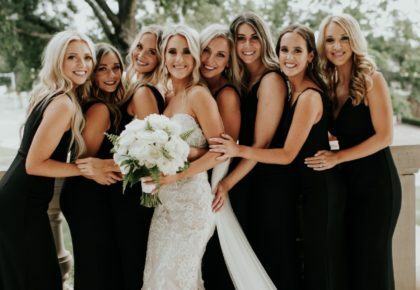 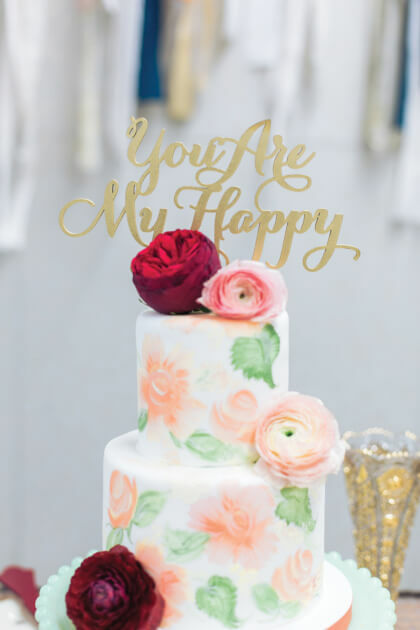 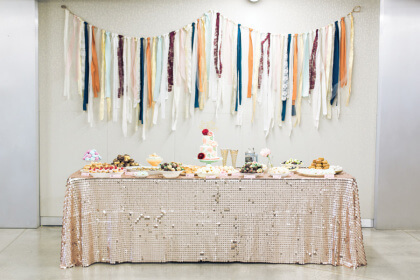 This sweet gesture was the perfect close to this love-filled celebration. 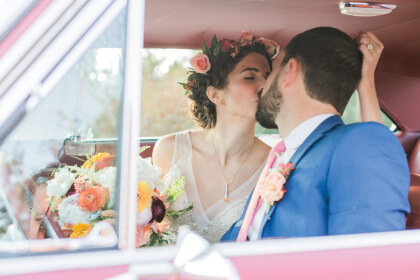 The evening ended as the bride and groom were whisked away in a vintage car before heading to a romantic honeymoon in California’s Wine Country. 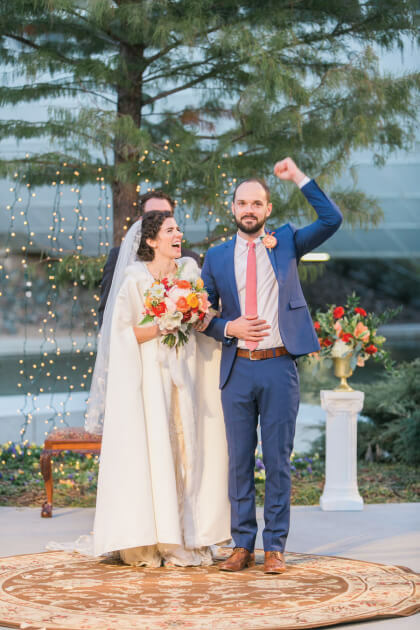 Amber, Eric and Julian reside in Oklahoma City where the bride works as a high school counselor and the groom works as a sales representative.